One can view framing in communication as positive or negative – depending on the audience and what kind of information is being presented. Framing might also be understood as being either equivalence frames, which represent logically equivalent alternatives portrayed in different ways (see framing effect) or as emphasis frames, which simplify reality by focusing on a subset of relevant aspects of a situation or issue. In the case of "equivalence frames", the information being presented is based on the same facts, but the "frame" in which it is presented changes, thus creating a reference-dependent perception. When one seeks to explain an event, the understanding often depends on the frame referred to. If a friend rapidly closes and opens an eye, we will respond very differently depending on whether we attribute this to a purely "physical" frame (they blinked) or to a social frame (they winked). Though the former might result from a speck of dust (resulting in an involuntary and not particularly meaningful reaction), the latter would imply a voluntary and meaningful action (to convey humor to an accomplice, for example). Observers will read events seen as purely physical or within a frame of "nature" differently from those seen as occurring with social frames. But we do not look at an event and then "apply" a frame to it. Rather, individuals constantly project into the world around them the interpretive frames that allow them to make sense of it; we only shift frames (or realize that we have habitually applied a frame) when incongruity calls for a frame-shift. In other words, we only become aware of the frames that we always already use when something forces us to replace one frame with another. Framing is so effective because it is a heuristic, or mental shortcut that may not always yield desired results; and is seen as a 'rule of thumb'. According to Susan T. Fiske and Shelley E. Taylor, human beings are by nature "cognitive misers", meaning they prefer to do as little thinking as possible. Frames provide people a quick and easy way to process information. Hence, people will use the previously mentioned mental filters (a series of which is called a schema) to make sense of incoming messages. This gives the sender and framer of the information enormous power to use these schemas to influence how the receivers will interpret the message. Frame building is related to at least three areas: journalist norms, political actors, and cultural situations. It assumes that several media frames compete to set one frame regarding an issue, and one frame finally gains influence because it resonates with popular culture, fits with media practices, or is heavily sponsored by elites. First, in terms of practices of news production, there are at least five aspects of news work that may influence how journalists frame a certain issue: larger societal norms and values, organizational pressures and constraints, external pressures from interest groups and other policy makers, professional routines, and ideological or political orientations of journalists. The second potential influence on frame building comes from elites, including interest groups, government bureaucracies, and other political or corporate actors. Empirical studies show that these influences of elites seem to be strongest for issues in which journalists and various players in the policy arena can find shared narratives. Finally, cultural contexts of a society are also able to establish frame. Goffman assumes that the meaning of a frame has implicit cultural roots. This context dependency of media frame has been described as 'cultural resonance' or 'narrative fidelity'. Researchers have found that framing-manipulation invariably affects subjects, but to varying degrees. Individuals proved risk averse when presented with value-increasing options; but when faced with value decreasing contingencies, they tended towards increased risk-taking. Researchers found that variations in decision-framing achieved by manipulating the options to represent either a gain or as a loss altered the risk-aversion preferences of decision-makers. In one study, 57% of the subjects chose a medication when presented with benefits in relative terms, whereas only 14.7% chose a medication whose benefit appeared in absolute terms. Further questioning of the patients suggested that, because the subjects ignored the underlying risk of disease, they perceived benefits as greater when expressed in relative terms. Framing is used to construct, refine, and deliver messages. Framing in politics is essential to getting your message across to the masses. Frames are mental structures that shape the way we view the world (Lakoff, Don't Think of an Elephant! Know Your Values and Frame the Debate 2004). Reframing is used particularly well by both conservatives and liberals in the political arena, so well that they have news anchors and commentators discussing the ideas, supplied phrases and framing (Lakoff, Don't Think of an Elephant! Know Your Values and Frame the Debate 2004). The neoconservatives in the Bush Administration and the Pentagon viewed the 9/11 attack as an opportunity to go to war in the Middle East and finally take out Saddam Hussain. The Bush administration sold the war by convincing the nation that Iraq had WMDs and collected supportive evidence that they had Secretary of State Colin Powell present at the United Nations. The War on Terror was the label assigned by the Bush administration to its national security policy, launched in response to the attacks of 9/11 (Lewis 2009). The cultural construction and political rationale supporting this slogan represent a powerful organizing principle that has become a widely accepted framing, laying the groundwork for the invasion of Iraq (Lewis 2009). Another example are after mass shootings where the media gives attention to gun control instead of the social issues surrounding society that result in mentally unstable individuals. The challenge of political violence has grown with new means of global coordination and access to weapons of mass destruction. The Bush administration's response to this threat, following the now iconic policy reference point of 11 September 2001, has had far-ranging implications for national security strategy, relations with the world community, and civil liberties (Lewis 2009). Labeled the 'War on Terror', the policy was framed within a phrase now part of the popular lexicon, becoming a natural and instinctive shorthand. More than phrases though, frames are 'organizing principles that are socially shared and persistent over time, that work symbolically to meaningfully structure the social world' (Lewis 2009). As a particularly powerful organizing principle, the War on Terror created a supportive political climate for what has been called the biggest US foreign policy blunder in modern times: the invasion of Iraq. Thus, in the scope and consequences of its policy-shaping impact, the War on Terror may be the most important frame in recent memory. (Lewis 2009) In the now well-known evolution of the administration's policy, influential neoconservatives within the administration had advocated regime change in Iraq for some time, but the events of 9/11 gave them a compelling way to fast-track their ideas and justify a new policy of pre-emptive war, fist in Afghanistan and then in Iraq. The National Strategy for Combating Terrorism defined the attacks of 9/11 as 'acts of war against the United States of America and its allies, and against the very idea of civilized society'. It identified the enemy as terrorism, an 'evil' threatening our 'freedoms and our way of life. The related National Security Strategy of the United States of America clearly divides 'us' from 'them', linking terrorism to rogue states that 'hate the United States and everything for which it stands (Lewis 2009). Presenting himself as God's agent, Bush's Manichean struggle pitted the USA and its leader against the evildoers (Lewis 2009). This argument is being played out in the 2016 Republican primaries, especially by Donald Trump. Trump has portrayed the Syrian refugees as foot soldiers for ISIS, coming to America to kill us in our main streets. Trump's rhetoric appears to be working; many middle class Americans are consuming his rhetoric. The Americans that are supporting Trump and the Republicans in general, many of them are working class and the Republican agenda although it appears to be in their favor it is not. Framing their message to say one thing and mean something completely different is what the conservatives have become masters at. The 2016 Republican primary has been a knock down fight since it started in August 2015. Donald Trump has approached this contest as if Vince McMahon were the promoter and the rest of the field are a bunch of jobbers (persons who are paid to lose). Trump was inducted into the World Wrestling Entertainment (WWE) Hall of Fame in 2003. Even his attacks on Megan Kelly from FOX News are straight out of the WWE's playbook. Robert Barthes analyzed wrestling and boxing in his book Mythologies. In 1988 Irwin Levin and Gary Gaeth did a study on the effects of framing attribute information on consumers before and after consuming a product (1988). In this study they found that in a study on beef. People who ate beef labeled as 75% lean rated it more favorably than people whose beef was labelled 25% fat. Linguist and rhetoric scholar George Lakoff argues that, in order to persuade a political audience of one side of and argument or another, the facts must be presented through a rhetorical frame. It is argued that, without the frame, the facts of an argument become lost on an audience, making the argument less effective. The rhetoric of politics uses framing to present the facts surrounding an issue in a way that creates the appearance of a problem at hand that requires a solution. Politicians using framing to make their own solution to an exigence appear to be the most appropriate compared to that of the opposition. Counter-arguments become less effective in persuading an audience once one side has framed an argument, because it is argued that the opposition then has the additional burden of arguing the frame of the issue in addition to the issue itself. 1 2 3 4 Druckman, J.N. (2001). "The Implications of Framing Effects for Citizen Competence". Political Behavior. 23 (3): 225–256. doi:10.1023/A:1015006907312. ↑ Goffman offers the example of the woman bidding on a mirror at an auction who first examines the frame and surface for imperfections, and then "checks" herself in the mirror and adjusts her hat. See Goffman, Erving. Frame Analysis: An essay on the organization of experience. Boston: Northeastern University Press, 1986. ISBN 0-930350-91-X, page 39. In each case the mirror represents more than simply a physical object. ↑ Weaver, David H. "Thoughts on Agenda Setting, Framing, and Priming". Journal of Communication. 57. 1 2 Snow, D. A., & Benford, R. D. (1988). Ideology, frame resonance, and participant mobilization. In B. Klandermans, H. Kriesi, & S. Tarrow (Eds. ), International social movement research. Vol 1, From structure on action: Comparing social movement research across cultures (pp. 197-217). Greenwich, CT: JAI Press. 1 2 3 4 5 6 7 8 Nelson, T.E. ; Clawson, R.A.; Oxley, Z.M. (1997). "Media framing of a civil liberties conflict and its effect on tolerance". American Political Science Review. 91 (3): 567–583. doi:10.2307/2952075. 1 2 3 4 Wyer, Jr., R.S. ; Srull, T.K. (1984). "Category Accessibility: Some theoretic and empirical issues concerning the processing of social stimulus information". In E.T. Higgins; N.A. Kuiper; M.P Zanna (Eds.). Social Cognition: The Ontario Symposium. Hillsdale, NJ: Lawrence Erlbaum. ↑ Kosicki, G.M. (1993). "Problems and opportunities in Agenda-setting research". Journal of Communication. 43 (2): 100–127. doi:10.1111/j.1460-2466.1993.tb01265.x. 1 2 McCombs, M.F. ; Llamas, J.P.; Lopez-Escobar, E.; Rey, F. (1997). "Candidate images in Spanish elections: Second-level agenda-setting effects". Journalism & Mass Communication Quarterly. 74 (4): 703–717. doi:10.1177/107769909707400404. 1 2 Chong, D.; Druckman, J.N. (2007). "Framing theory". Annual Review of Political Science. 10: 103–126. doi:10.1146/annurev.polisci.10.072805.103054. 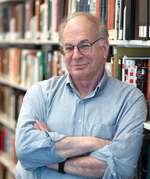 1 2 Kahneman, D.; Tversky, A. (1984). "Choices, values, and frames". American Psychologist. 39 (4): 341–350. doi:10.1037/0003-066X.39.4.341. 1 2 Tversky, Amos; Kahneman, Daniel (1981). "The Framing of Decisions and the Psychology of Choice". Science. 211 (4481): 453–458. doi:10.1126/science.7455683. PMID 7455683. ↑ Perneger TV, Agoritsas T (2011). "Doctors and Patients' Susceptibility to Framing Bias: A Randomized Trial". J Gen Intern Med. 26 (12): 1411–7. doi:10.1007/s11606-011-1810-x. PMC 3235613 . PMID 21792695. ↑ De Martino, B.; Kumaran, D.; Seymour, B.; Dolan, R. J. (2006). "Frames, biases, and rational decision-making in the human brain". Science. 313 (5787): 684–687. doi:10.1126/science.1128356. PMC 2631940 . PMID 16888142. ↑ Erving Goffman (1974). Frame Analysis: An essay on the organization of experience. Cambridge: Harvard University Press, 1974, page 21. 1 2 3 4 5 6 Lewis, Stephen D. Reese and Seth C. "Framing the War on Terror The internalization of policy in the US press." Journalism, 2009: 777–797. ↑ Legum, Judd (September 14, 2015). "This French Philosopher Is The Only One Who Can Explain The Donald Trump Phenomenon". thinkprogress.org. Retrieved April 23, 2016. ↑ Jim A. Kuypers, Stephen D. Cooper, Matthew T. Althouse, "George W. Bush, The American Press, and the Initial Framing of the War on Terror after 9/11," The George W. Bush Presidency: A Rhetorical Perspective, Robert E. Denton, ed. (Lanham, MD: Lexington Books, 2012), 89-112. ↑ Rampton, Sheldon and Stauber, John. Trust Us, We're Experts! Putnam Publishing, New York, NY, 2002. Page 64. Carruthers, P. (2003). "On Fodor's Problem". Mind and Language. 18 (5): 502–523. doi:10.1111/1468-0017.00240. Haselager, W.F.G. ; Van Rappard, J.F.H. (1998). "Connectionism, Systematicity, and the Frame Problem". Minds and Machines. 8 (2): 161–179. doi:10.1023/A:1008281603611. Martino, De; Kumaran, D; Seymour, B; Dolan, RJ (2006). "Frames, Biases, and Rational Decision-Making in the Human Brain". Science. 313 (5787): 684–687. doi:10.1126/science.1128356. PMC 2631940 . PMID 16888142. Nelson, T. E.; Oxley, Z. M.; Clawson, R. A. (1997). "Toward a psychology of framing effects". Political Behavior. 19 (3): 221–246. doi:10.1023/A:1024834831093. Scheufele, DA; Dietram, A. (1999). "Framing as a theory of media effects". Journal of Communication. 49 (1): 103–122. doi:10.1111/j.1460-2466.1999.tb02784.x. Shanahan, Murray P. (2003), "The Frame Problem", in The Macmillan Encyclopedia of Cognitive Science, ed. L.Nadel, Macmillan, pp. 144–150. Snow, D. A.; Rochford, E. B.; Worden, S. K.; Benford, R. D. (1986). "Frame alignment processes, micromobilization, and movement participation". American Sociological Review. 51 (4): 464–481. doi:10.2307/2095581. Sperber, D.; Wilson, D. (1996). "Fodor's Frame Problem and Relevance Theory". Behavioral and Brain Sciences. 19 (3): 530–532. doi:10.1017/S0140525X00082030. "Rational Choice and the Framing of Decisions", A.Tversky, D.Kahneman, Journal of Business, 1986, vol.59, no.4, pt.2. Wilkerson, W.S. (2001). "Simulation, Theory, and the Frame Problem". Philosophical Psychology. 14 (2): 141–153. doi:10.1080/09515080120051535.